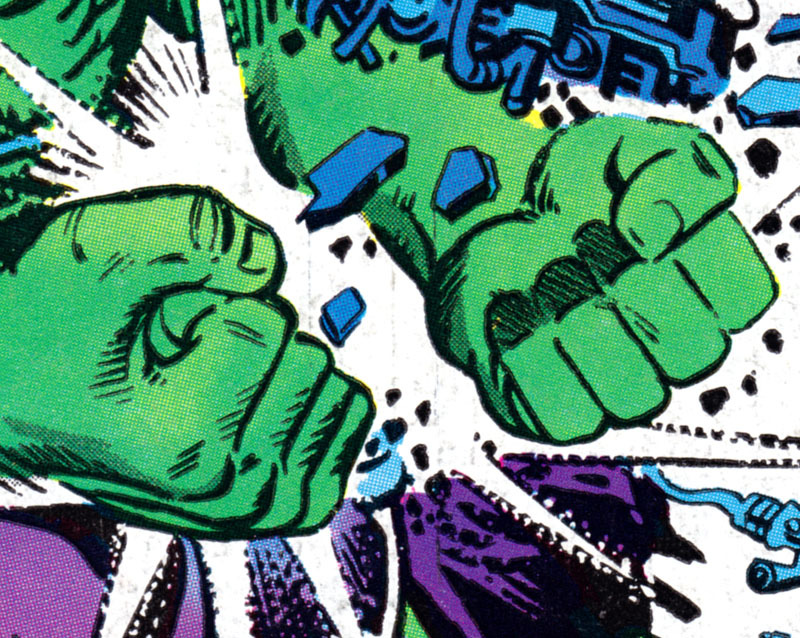 THE INCREDIBLE HULK #235  is one of the first published pieces for this stint at Marvel, following a cover for an Avengers reprint the previous month. It's one of the rare cases of Ditko inking another artist, working over the pencils of Al Milgrom. It's also a good bridge between his 1960s stint at Marvel and the one just beginning, as he did some major work developing the Hulk in the 1960s and Machine Man would be his regular assignment starting a few months later. He'd also do a few more Hulk stories in the future. It's a pretty good cover of a dynamic meeting between the two Jack Kirby creations. The Hulk figure is especially good. Pretty unlikely it'll ever happen, but I'd be fascinated to see the original pencils to this to see how closely Ditko followed it.